Sorry, west coast! In fewer than two hours after they first went on sale, tickets for Apple’s annual Worldwide Developers Conference have sold out. WWDC is a place for iOS and OS X developers to attend educational sessions, spend lab time engaging with hundreds of Apple engineers, and socialize with their peers. 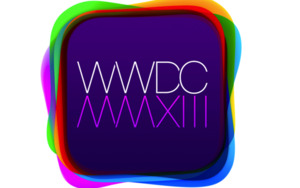 Tickets to WWDC 2012 cost $1599. Last year’s event took 12 hours to sell out; this year, tickets went on sale shortly after 8:30 a.m. Eastern, and the “Sold Out” banner appeared before 10:30 a.m. Eastern. Apple promises that it will post videos from all the technical sessions “shortly after the conference,” making those videos available free to watch online. Still, those hoping to get face time—not FaceTime—with Apple engineers are out of luck. Apple did not immediately respond to Macworld’s request for comment regarding whether any tickets were held in reserve for potential attendees in other time zones, or whether the company might consider putting the tickets on sale at a later time next year.